Award-winning boutique communications and PR agency, Neon Black is seeking great talent to be an integral part of a growing team and work on an exciting and varied client base. Communications agency Neon Black named finalist for three Mumbrella CommsCon awards including PR Agency of the Year - Small/Boutique, Best B2B Campaign & Corporate Social Responsibility. 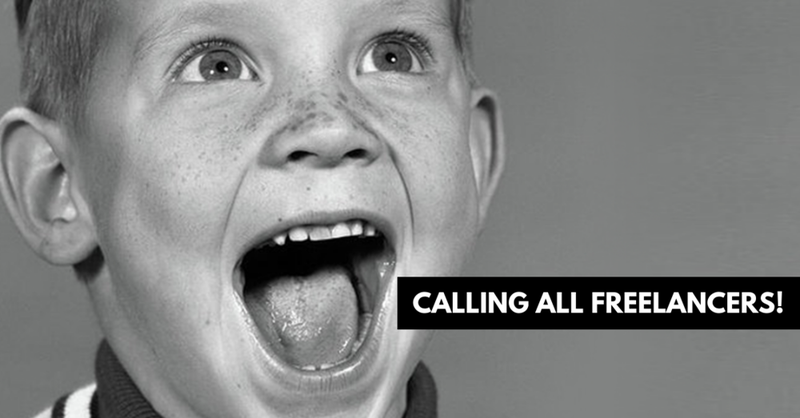 Award-winning boutique communications and PR agency, Neon Black is seeking expert experienced freelancers to support our growing team and work on an exciting and varied client base for a number of different upcoming projects. Working with Neon Black, you will have the opportunity to work on a range of globally renowned brands in a variety of different sectors, from concepts and strategy right through to hands-on execution. PR Pro’s - passionate about the media? We are seeking avid storytellers and news creators with media knowledge and a little black book of contacts who can generate headlines and coverage. Content Creators - got an eye for what gets cut-through? You’ll be the King or Queen of content, and understand how to create something meaningful for a range of different brands across a number of different mediums. Social Media - understand what makes a great social campaign? From the strategy, to the content, right through to the execution, you’ll be savvy and have a stellar understanding of the social sphere. Like the rest of our team, you’ll be hungry for success, be willing to bring your own ideas to the table and excited to help shape the way Neon Black operates and continues to grow. If it sounds like you could be the right fit for Neon Black, we would love to have a coffee and a chat and get to know more about you, your experience and where you excel. Having worked at Account Manager or Senior Account Manager level previously, you will have the opportunity to manage accounts autonomously across a range of globally renowned brands in a variety of different sectors, from concepts and strategy right through to hands-on execution. Your passion for media, for creating your own content to be proud of, your creativity, gift-of-the-gab and hands on approach will allow you to excel in this team and will be instrumental when it comes to client happiness and success. You’ll be an avid storyteller and news-creator, love the thrill of the chase and get goosebumps when you see your clients making headlines and in the media. Your creativity, industry and media knowledge, relationship building and strategic thinking skills will thrive in this demanding role. We encourage you to manage client, staff and media expectations in your own dynamic style. The B&T Awards recognises excellence in the Australia and New Zealand marketing, advertising and media industries. If you classify yourself as a lover of words, a dedicated talker and have a passion for news and media, Neon Black could be your next stop. And, if you happen to be studying Communications/PR and aren’t afraid to get your hands dirty this could be a match made in heaven. 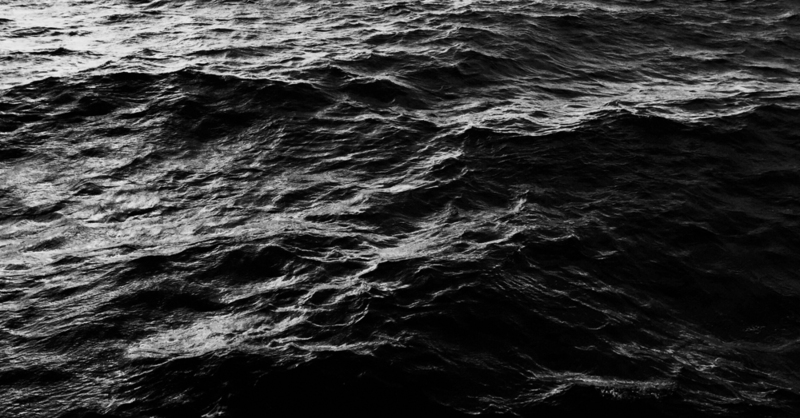 Neon Black is a creative communications agency. Since opening our doors, we’ve done some pretty awesome things, and have breathed life into some killer campaigns for our portfolio of clients. Launched one of the biggest mental health pro-social movements? We did it. Hung out with some of the world’s biggest names in adult entertainment. We did it. Made battery power and the Tesla Powerwall a household name in Australia? We did it (and are still doing it…). We offer a range of different things tailored to our client’s needs, including PR, events, social, marketing and consumer activations. If you work with us, not only will you get awesome exposure across a vast range of activities, but you’ll also get to work on an even broader range of industries. Beauty, tech, renewable energy, food, corporate, health, lifestyle and consumer clients are all part of our repertoire here at Neon Black. Our ideal intern will join us 1-2 days per week for a 12 week period. You’ll learn lots, have a fair few laughs, and get to give cuddles to our office dog Alfred. You’ll also get to work closely with the founders of Neon Black, our stellar Account Management team and will have exposure to a number of clients and areas of the business. If you think you’ve got what it takes, are dedicated, driven, passionate and focused we want to get to know you! Holla at us, this position is available immediately. Applications close Wednesday, 5th September 2018. *Only Australian residents will be considered for the role. Please do not apply if you are a tourist or on a tourist visa. This internship is a non-paid role. We are proud to announce our Neon Black Co-Founder, Soraya Calavassy was named a winner in last night’s B&T 30 Under 30 Awards within the PR category and recognised alongside some of the best and brightest Australian media industry leaders. Neon Black are proud to announce we have been shortlisted for a Mumbrella CommsCon Award for ‘Launch or Relaunch Campaign of the Year’ for our work with Natural Solar and the Tesla Powerwall during 2016. Neon Black have supported the launch of Peter Manettas Seafood with a robust social media strategy, developing content and acquiring a strong community, likes and followers as well as creating a pre-launch membership acquisition campaign and program. Public and media relations support was also a foundation part of this campaign and launch activity, achieving widespread coverage in publications including Channel Nine News, Broadsheet, The Australian, Nine Kitchen and Delicious. 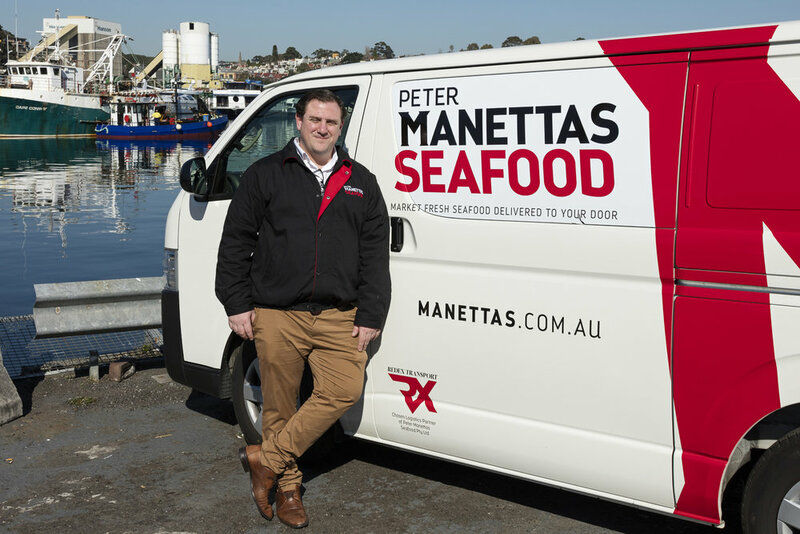 Peter Manettas Seafood offers a never-before-experienced service to the Australian public, allowing people to visit www.manettas.com.au and select their fish and seafood for next day delivery. All orders are sourced from the Sydney Fish Market morning auction, open exclusively to industry, as well as fisheries around Australia. Each individual order is then customised to customers specifications; fish can be filleted, prawns can be cooked, left whole, peeled and deveined. Peter Manettas Seafood is the new frontier in the $1.3B fish and seafood industry and Neon Black are delighted to have been so instrumental in such a successful launch. We are looking for a talented, enthusiastic and vibrant professional to join the growing Neon Black team as PR and Communications Assistant. Based in Crows Nest, we are a creative communications agency with a range of great clients in an even broader range of industries including tech, renewable energy, food, corporate, fitness, health, lifestyle and entertainment. We specialise in PR and media relations, social media, events, activations, marketing and creative for our clients, so if you’re looking for broad horizons in a fast paced environment, you could be our perfect match. The ideal candidate will be passionate, committed, determined and a lover of words with a strong passion for news and media. 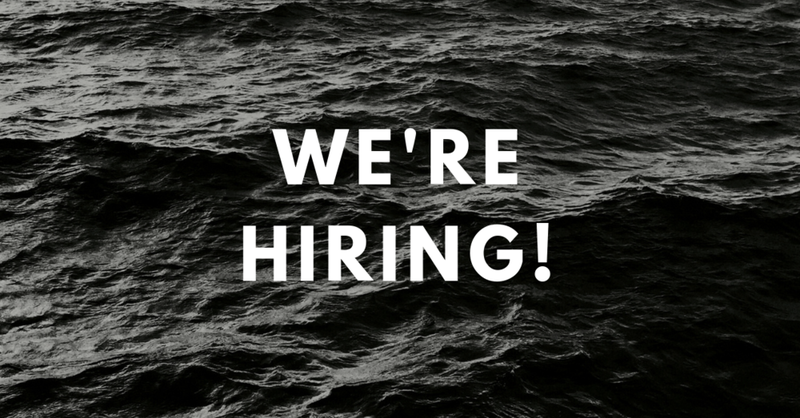 If you’re organised, results oriented, love to learn, are willing to make magic happen in the blink of an eye, and can multi-task by supporting multiple clients and campaigns, you could be the perfect fit for our team. If you’re looking for an environment with a lot of laughter, learning and growth opportunities, great clients and campaigns where you can truly develop and refine your PR and Communications skills, look no further! To apply, please email your CV along with your cover letter to team@neon.black or phone (02) 8957 0398 for a confidential chat. * This is a full-time role and you will require a drivers’ licence and your own vehicle from time to time. The past 72 hours has seen the entire world avidly watching one of the biggest reputational crises of 2016 unfold before our very eyes. The Taylor Swift vs Kim Kardashian takedown has seen saccharine sweet pop-star Taylor Swift presented to the world as a liar, a master manipulator and has caused her to shed her carefully cultivated good girl image in the blink of an eye, or a series of 10 second Snapchat posts. When it comes down to it, the downfall of Swift’s reputation is due to one thing: She lied publicly. Releasing a statement to media months ago, Swift blatantly said she never gave approval to Kanye West for the lyrics in his song ‘Famous’ and instead, she cautioned him about the misogynistic nature of the song. Swift and her ‘Squad’ then proceeded to very publicly speak out against West’s song ‘Famous’ to media and on their own social channels. The drama culminated at the Grammy Awards where, in her acceptance speech, Swift implied West was trying to take credit for her success. In defence of her husband, Kardashian released a series of damning videos to her Snapchat account, showing that a full conversation had in fact occurred between West and Swift and she had given consent for the line in the song, even mentioning how nice it was to be asked for approval. The world stopped as everybody waited for Swift’s reaction to see how she navigated this very public slandering. Every cloud has a silver lining, and for communications professionals and brands alike, there’s the opportunity to learn from Team Swift when it comes to the management of this reputational crisis. One can only assume that within seconds of Kardashian pressing ‘My Story’ and ‘SEND’ on her Snapchat videos after the latest episode of ‘Keeping Up with the Kardashian’s’ aired, members of Swift’s team were on high alert for the media storm that followed. Making headlines within minutes, Swift and her team of experts did what any communications professional would do in this situation. Sit down, assess the impact for Swift and her future, and devise a strategy. Time is of the essence when it comes to crisis communications, and even though this story broke at 10:00pm Pacific Time on a Sunday, Swift’s team were able to take stock, strategise and respond to the situation within hours. This quick action worked to limit risk and allowed them to have input before the world and media could spend too long speculating and drawing their own conclusions on the situation. Swift has the ability to broadcast to millions of people with the click of a button via her database, social platforms and profiles. While the world waited with bated breath for a response from Swift, she and her team chose to release the same carefully crafted message across her Facebook, Twitter and Instagram pages. Having full control of these channels allowed Swift and her team to own the message. Her overarching response to the situation (specifically mentioning Kardashian and West) was read and quoted in its entirety by media and also gave her dedicated fan base the opportunity to visit each of these channels and see her response firsthand. While your brand might not have the same volume of followers and media probably won’t be visiting your social pages looking for content in the same way as Swift’s, there’s still something to be learnt from this experience. Brands have the ability to be selective about who they choose to speak with, and when they choose to share their response during a crisis. Using experts to manage media, determine the best outlets to speak with who will share a balanced view of the story and who will be able tomonitor interviews and control the message will provide the best result for your brand and could be the saving grace of your reputation. Owning this response by sharing a complete statement on your own channels and referring media and consumers back to this is also a way to ensure your words don’t get twisted and can be used as a reference point for both consumers and media. One of the hardest types of crises to come back from are those that impact reputation. Product issues can be solved, people can find ways to forgive design flaws, distribution issues and even illness as a result of a product. However, misleading the public and appearing openly deceptive can be considered kryptonite for any brand and there is no quick fix for this. Swift had openly lied which caused a problem for her team; do they opt to take ownership and act with integrity, or try focus on a technicality to ease the blow? In this instance, Swift’s team attempted to run with option two, noting in her official response that West had not requested approval for one specific line in his song which Swift took offence to, despite video footage of her agreeing with other components of the song. This is where the crisis has been mismanaged by Swift. Already people had lost faith and trust in Swift, and already she had been publicly branded a liar. In any crisis, consumers value when brands recognise their faults and communicate honestly. Swift’s refusal to take any ownership in the situation, and her attempts to position herself as a victim of Kardashian and West has injected more tension creating backlash, even from the most dedicated of fans. It’s pretty simple, while the spotlight is on you, don’t try to divert attention from your own crisis by slamming individuals, competitors or other people involved. In the 12 hours following this initial news breaking, a series of stories were placed in media outlets (assumed to be by Swift’s team), indicating Swift had intentions of suing West and Kardashian while also questioning the legality of the phone call recordings and planting the concept of defamation within this scenario. This public declaration of legal action from Swift has highlighted her guilt in this situation. It’s also helped fuel the fire, build the story and has continued to paint a negative picture of Swift in the eyes of her fans and media worldwide. Can she really ‘Shake it Off’? We all know that every media story has a lifespan and as long as you stop adding fuel to the fire, it will more or less disappear. In the case of Swift, it’s not quite the same. The 26-year-old has had her fair share of negative publicity over the years and many stories have been continually resurrected no matter how big her achievements, hits and accolades. It must also be mentioned there is nothing in her past that rivals this level of personal backlash. While we can only assume Taylor’s crisis will blow over eventually and her talent will allow her to continue to build her own success and increase her profile, this experience is an important lesson for communications professionals and marketers. Firstly, no matter how big your brand and the number of consumer advocates you have, there’s always the chance the public will turn. It doesn’t take much for people to lose faith, loyalty and change their opinion of something they have been fans of for years. Should this happen, for any brand, business or identity in the midst of a crisis, it’s important to remember that it’s not always the crisis itself but how it’s managed that sticks in the mind of media and the public. No matter the size or type of crisis, the impact to others, and the impact to your reputation, you can always come back from the negative backlash. Provided you meticulously manage your message, respond quickly, take ownership and act ethically, your reputation can always be rebuilt and your brand can recover, make a comeback and regain consumer trust and sentiment. Co-founder of Neon Black Creative Communications Agency. We all thought we left Pokemon back in the 1990’s, along with our Tazos, Barbie Magazines and Walkmans. It seems this isn’t so, with the emergence of Pokemon GO just five days ago hitting the notoriously tough to engage Gen Y hard. It’s reached a pivotal point where there are now hordes of grown adults slightly more addicted to their phones than usual, glued to their screens and aiming to fulfil their lifelong dreams of being a Pokemon Master. So why has Pokemon GO become such a success, with the entire global population feeling a sudden urge to ‘Catch ‘Em All’ and become a Pokemon Master? It’s kind of simple. It’s a game that plays on the brain, and one that any smart marketer can use to drive interest in their brand or product. Take a group of people who have a connection to a particular product/game/era, particularly in relation to their childhood. If you reference Pokemon, many people aged 20+ remember swapping grubby cards in the school yard, watching Pokemon cartoons on a Saturday morning and buying Pikachu merchandise. Even if they weren’t directly involved and didn’t understand how it worked, there will be some distant childhood memory of Pokemon lurking in the recesses of their mind. Add to this innovation. Since we were trading Pokemon cards, dealing with Pokemon classroom theft, and begging our parents to buy us more, things have changed. This circle of grubby kids on the school yard turned into adults. Some of them with great jobs and disposable income. Almost all of them with a handheld technology device they use almost constantly. This allows adults to integrate a concept from years past into their day to day lives; something they can do as surreptitiously or as openly as they choose. There are many people who have previously dreamed of becoming a Pokemon Master, so the chance to do it in real life and the ability to actually catch Pokemon has been a huge driver in downloads, signups and interest in the game. These two ingredients; nostalgia and innovation equate to the current Pokemon craze and is by far the reason the launch of Pokemon GO has been a worldwide success from Sydney to Melbourne, LA and beyond. Customer loyalty is a tough one to crack, particularly in the world of apps and gaming. The savvy team behind Pokemon GO understand the importance of user feedback and ability to drive loyalty as a result during the early development stages. To properly launch Pokemon Go, Beta groups or 'Field Tests' as Niantic called them were set up to test the application and gain consumer feedback from real users which is common within the gaming world. Not only did this allow the Pokemon GO app to have a range of bugs identified and resolved prior to launching, but it also built die hard power users. The core of any game, and the people who act as Influencers within this community. These Pokemon Go gaming ambassadors were used to organically spread the word at a grass roots level, and encourage other likeminded people to come on board the game. It also provided a level of ownership amongst members, they felt they had personally contributed to the development of the game (despite it already being in existence and reskinned to fit the Pokemon brand) but also created a deep connection encouraging higher engagement levels and usage. Community engagement is vital for brands today, there’s no question. Brand strategy has been driven by digital, with people openly trying to create communities through their messaging, social media presence and content strategy. The launch of Pokemon GO has created a seamless community that happens to be driven by competiton. Since Pokemon GO officially launched, a number of ‘real life’ groups have been set up. People have reconnected after not speaking for years. Events have been created allowing people to hunt Pokemon whilst completing a pub crawl or walking for fitness. Hordes of people are visiting ‘landmarks’ within the game in order to achieve an unrivalled user experience. Add to this the competition factor; that while there is a sense of community, people are desperately wanting the rarest Pokemon finds. They are angling to win the most Gyms and are even spending money to do so. People are splitting into Pokemon teams, creating banter and rivalry. Competitive people who love a challenge are flocking to Pokemon GO, which will likely give additional longevity to the game, as well as pump up the revenue it makes as a result of in-app purchases and material. As PR and Communications specialists, Neon Black know that hype can make or break a launch. Despite being a recognisable brand, Pokemon GO had a number of interesting stories, newsworthy notes and a strong PR strategy behind it. First of all the technology has brought a schoolyard game into the real world. It’s been a dream for countless kids to spot a Clefairy in their day to day life, and for many, as grown adults they’ve been able to do this through the lense of their iPhone. PR teams have been careful not to reveal too much about the game to media, meaning that in order to understand it, they must download it, use it and report on it themselves. The lack of instruction manuals is also creating an environment where news website are compiling and reporting on how to use Pokemon Go, as well as a number of in-app hacks to enhance the user experience. The weird, wacky and wonderful stories have also been a huge driver in the Pokemon GO hype. A range of mysterious reports of people falling off bridges, people finding bodies through playing the game and people deliberately creating landmarks so that people get mugged. All this has built Pokemon GO into a talking point, creating an innate need for consumers to engage and get involved with the hype, lest they be left behind. Media are continuing to drive the hype knowing these reports of Pokemon GO are causing additional clicks, creating high performance stories and are attracting large scale consumer interest for their mastheads. With media driving the conversation and consumers buying into it, there’s no doubt that this has created a perfect storm and the cogs of the hype machine are spinning. 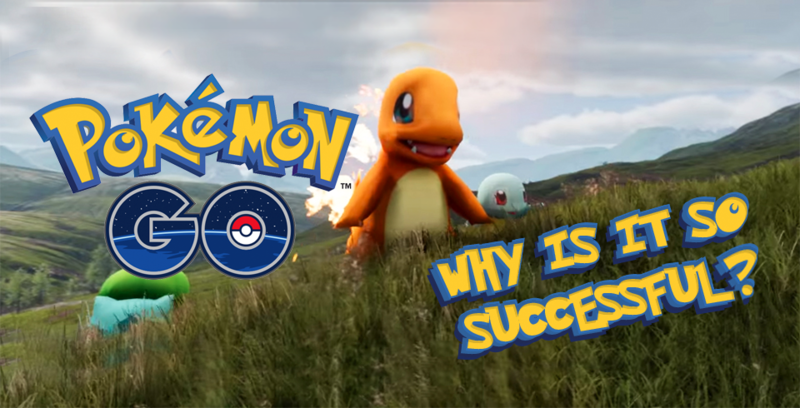 While these four things have undoubtedly created a whole lot of interest and engagement when it comes to Pokemon GO, we are left with a certain knowledge. Like anything that builds mass hype and hysteria, there’s also a time frame attached to this. The days where people congregate at core locations to try catch rare Pokemon are numbered and are likely to fade very quickly, leaving Pokemon to be another long forgotten fad of 2016. It won’t be long before Pokemon GO will be joining Tazos, Velour Tracksuits and Selfie Sticks in the ‘distant memory’ category and a new digital trend will reign supreme. Neon Black is more than just a PR Agency. We are creative communicators dedicated to telling the story of your brand and achieving results that directly impact your business. With clients Australia-wide, we have made waves in Sydney, Melbourne, Brisbane and Perth, as well as worked on globally recognised brands and campaigns. We are a hybrid mix of experts, offering PR, communications, marketing, digital, social media, SEO and creative to help your business grow and your customers sit up and take notice. 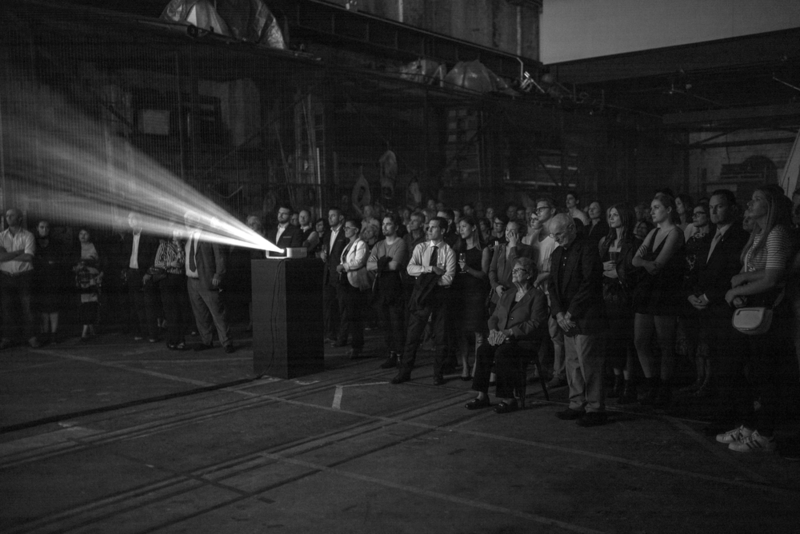 To hold a launch event for The House and introduce Australia’s first creative funeral home to VIP’s, media and identities. To officially launch The House, Australia’s first creative and design led funeral home, Neon Black worked with the internal team to create a bespoke event to celebrate the art of saying goodbye and start an intimate and personal conversation amongst guests. 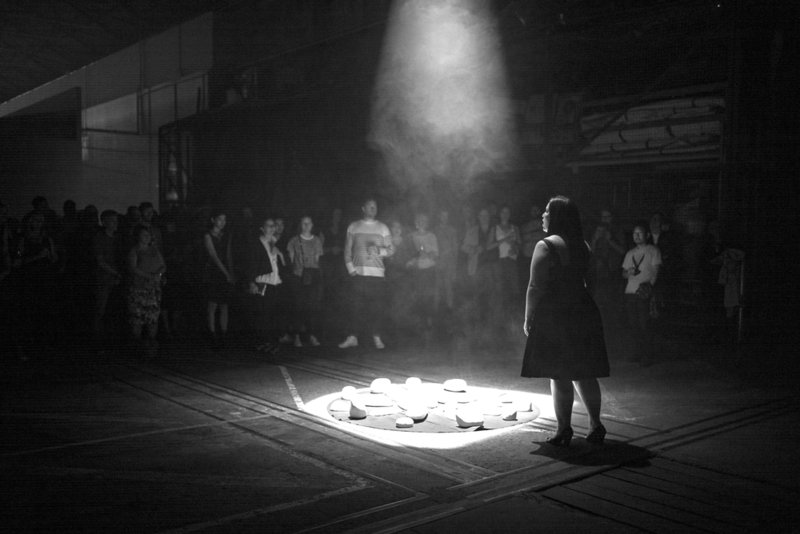 Over 150 guests attended the official launch of The House held at Carriageworks. Guests were served Pol Roger champagne, Antipodes water and a selection of canapes from Hive Catering including Polenta twills with truffle Parmesan cream and picked shallot, smoked eggplant with eggplant crip and buttermilk spanner crab served on sesame crisps. 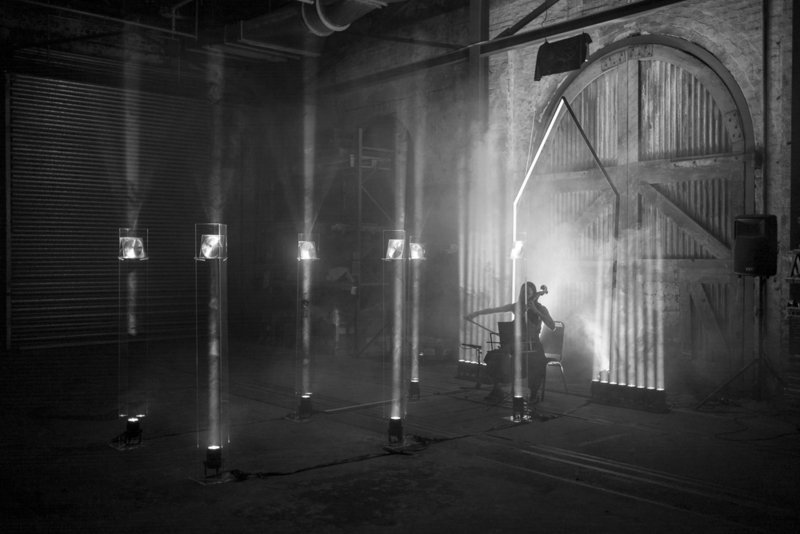 A series of custom made installations were revealed at the launch event gripping guests with their haunting beauty and innovation. These included Australia’s first paper chapel designed by renowned Paper Engineer, Benja Harney, a light chapel, a stunning rock installation and a film production by Motel Films. Guests were invited to engage with and truly experience each of the installations in their entirety at the event and were sparked with the chance to start their own conversation on the importance of saying goodbye. We are looking for somebody who thinks coming into their Communications Internship will be like a visit to the fireworks, candy and puppy dog store; explosive, fun and pretty damn cool. If you classify yourself as a lover of words, a dedicated talker and have a passion for news and media, Neon Black could be your next stop. And, if you happen to be studying Communications/PR and aren’t afraid to get your hands dirty this could be a match made in heaven. We offer a range of different things tailored to our client’s needs, including PR, events, social, marketing, creative and consumer activations. If you work with us, not only will you get awesome exposure across a vast range of activity, but you’ll also get to work on an even broader range of industries. Tech, renewable energy, food, corporate, fitness, health, lifestyle and consumer clients are all part of our repertoire here at Neon Black. Our ideal intern will join us 1-2 days per week for a 12 week period. You’ll learn lots, have a fair few laughs, and get to give cuddles to our office dog Harvey. You’ll also get to work closely with the founders of Neon Black and will have exposure to a number of clients and areas of the business. Applications close Friday, 8th July 2016. We are looking for a driven, creative and talented budding PR and Communications professional to join the Neon Black team as our Communications Intern. If you’re studying PR/Communications, have a keen interest in news and media and are willing to learn, all while getting your hands dirty, this could be the internship for you! Why Beyoncé won't be releasing an album this week. With release dates coming and going, no whispers of new tracks hitting the airwaves, and Beyoncé’s camp staying mum on the release date, has the queen of pop culture become the victim of her own hype machine? Solution focused. Results driven. We are creative communicators, committed to telling the unique story of your brand. We are neon black. We are excited to officially announce that our (metaphorical) doors have opened, and what has been a dream for the creators has now become a reality. Neon Black has been built around one simple premise: “We do what works”. We won’t try to sell you services you won’t use and don’t need. We are determined to listen to your story, understand your needs and build a strategy for you, with an approach that truly works. With a combined background encompassing communications, creative, media relations, social media, event management, digital and marketing, Finbar Corrall and Soraya Calavassy, the Co-Creators of Neon Black, have joined forces to provide a robust offering. Vision, imagination and excitement, with a strong dose of objectives, insights and analysis are at the core of what we do.